Theirs was a unique wedding day format and it was DIVINE. The idea here: Susan and Ian wanted to spend as much time as possible interacting with their guests as possible, so the order of events went something like this. 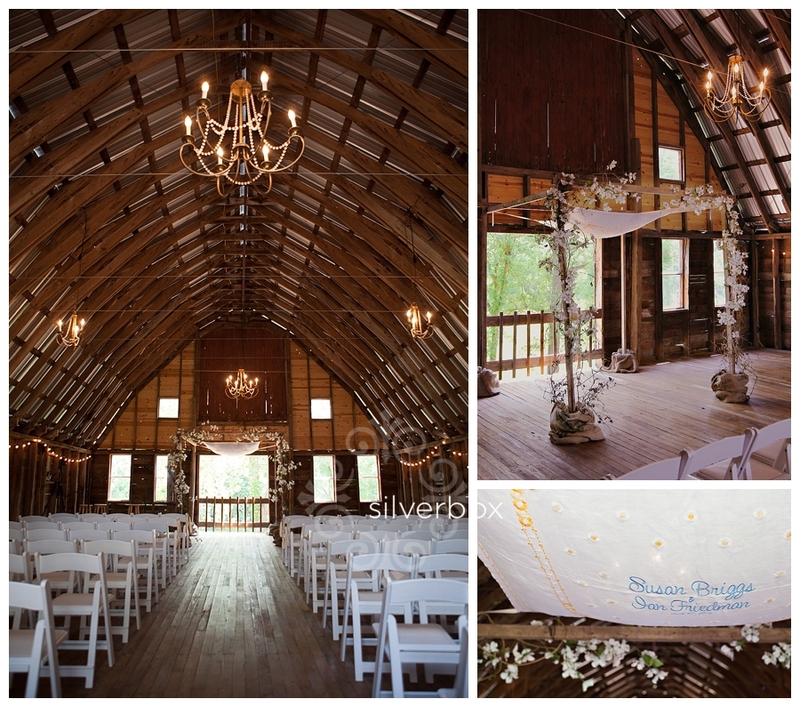 vows & mozel tav in the barn! And some of the best, most convenient news of all for weddings guests, all of the above happened in ONE LOCATION. We LOVED it: one venue and it was REMARKABLE. Searching for an event setting? Don't overlook VENUE 481 in Marshfield, Missouri. Venue 481 includes this old corral area, a perfect spot for Susan & Ian's private moment. Private moments matter. Have one!Here's a view of the garden party! This next image was created during the cocktail hour. Starting to get an idea of the place? Yum, the color (and texture!) palette included lots of vintage touches and it was carried through and through! ...all the way to handmade bunting and vintage signs! But wait, there's more to the Venue 481: a big grassy field! There are DOZENS upon DOZENS of ways Susan & Ian's wedding was a celebration of who in this world they are. 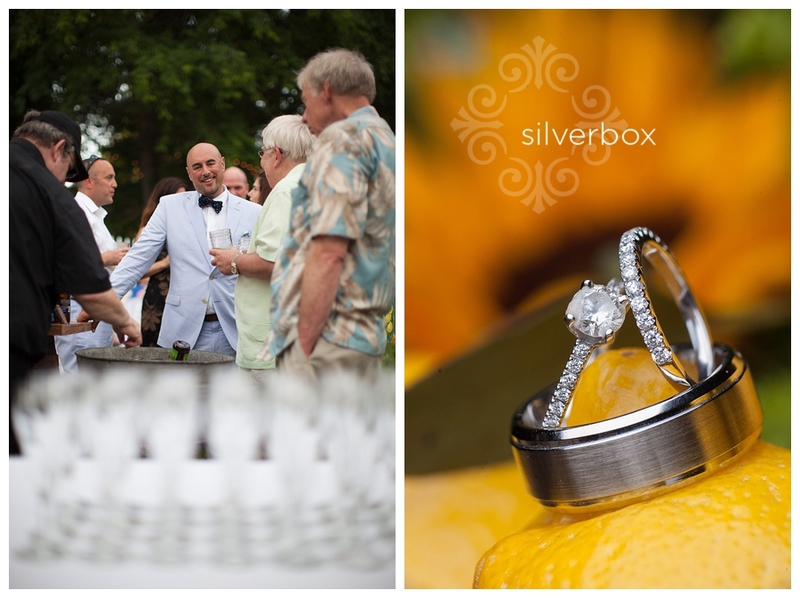 I'll come back in a few days and connect the dots and add a few links for those of you looking at this amazing wedding as an inspiration, but off the bat, here are a few more examples of how Susan and Ian hosted a wedding that was an extension of their relationship:1. 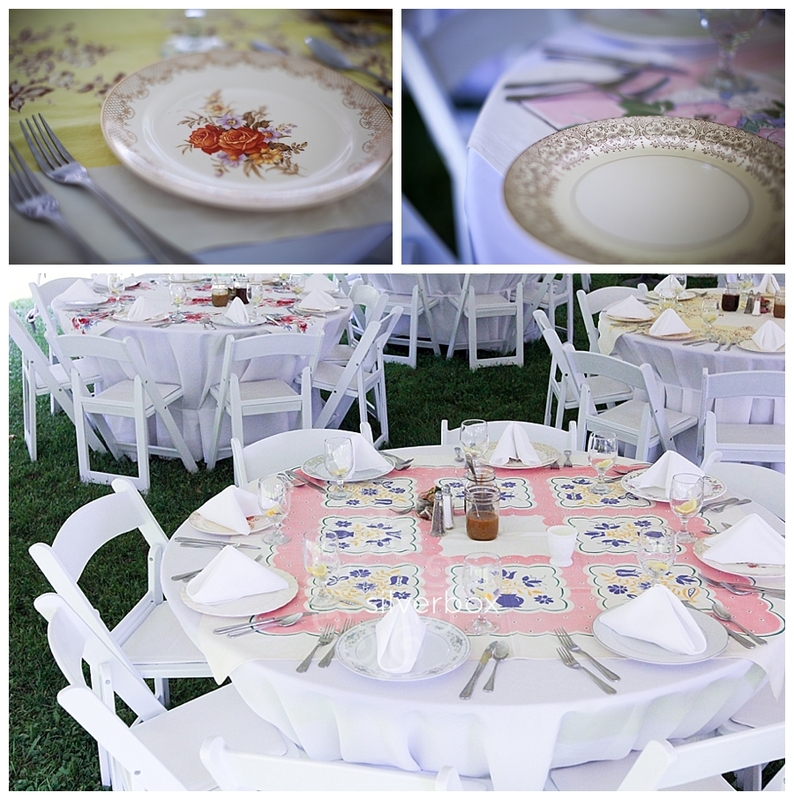 Susan collected vintage furniture, linens and place settings. The tables were oh so charming! And know what? Many of the items Susan secured for her wedding day are now available for other people's special occasions through Finley & Fifth, I believe. 2. Seersucker suits with bow ties anyone? Garden party delight! (Be on the lookout for straw hats. )Yes, this wedding was THAT CUTE. But so much more than cute, Susan and Ian found ways to make their guests extraordinarily comfortable. 3. What about love that takes your breath away? Mmmm4. Such a great place for a ceremony. And how lucky we were to have Tom Schmidt of the delectable eat-with-tom.com fame (feeling hungry? click his link and you will!) help document this ceremony. And not only Tom, the delightful, talented and oh-so-lovely Whitney Buckner documented this day with artistry, too. For our where's waldo section of the post, can you find them both here? 4. You know on a day like this, why not bring in a vintage care for an album cover shot? 10. 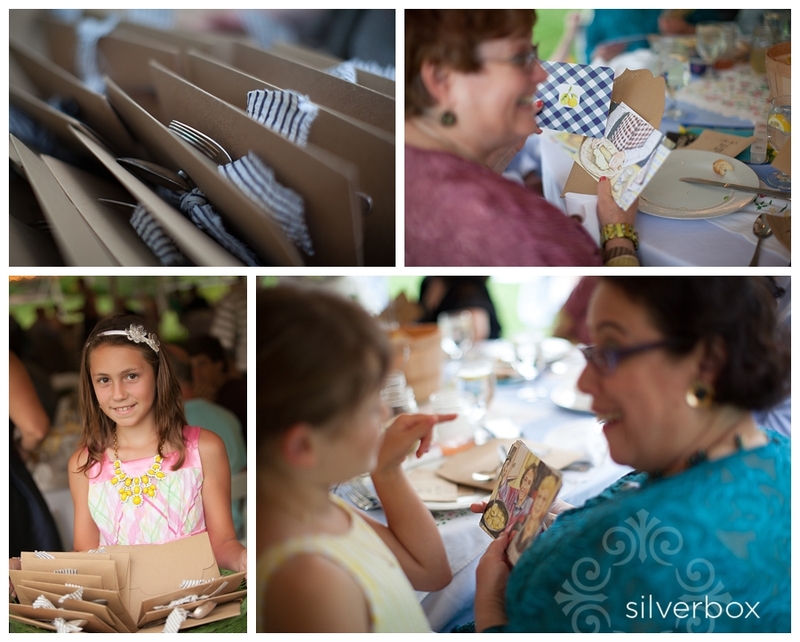 And oh the themes and vintage touches: lemons, linens and summertime celebration.BONUS #11. Want great pictures on your wedding day? Laugh! Merry-making makes not just for a good marriage but a good marrying day indeed. Feven + Laurence :: engaged! amy + sean :: married!